The day is finally here! 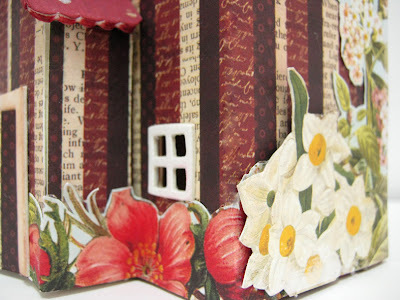 The Sizzix Triple Blog Hop starts today. A group of sixty (yes SIXTY!) all-star designers will create a new project, starting today and for seven weeks! 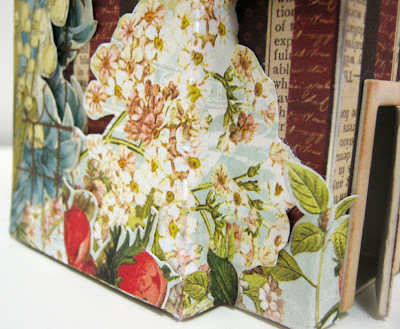 Each of us will post the project on our own blog using that week's featured die. You'll be able to hop around and view all the creations. 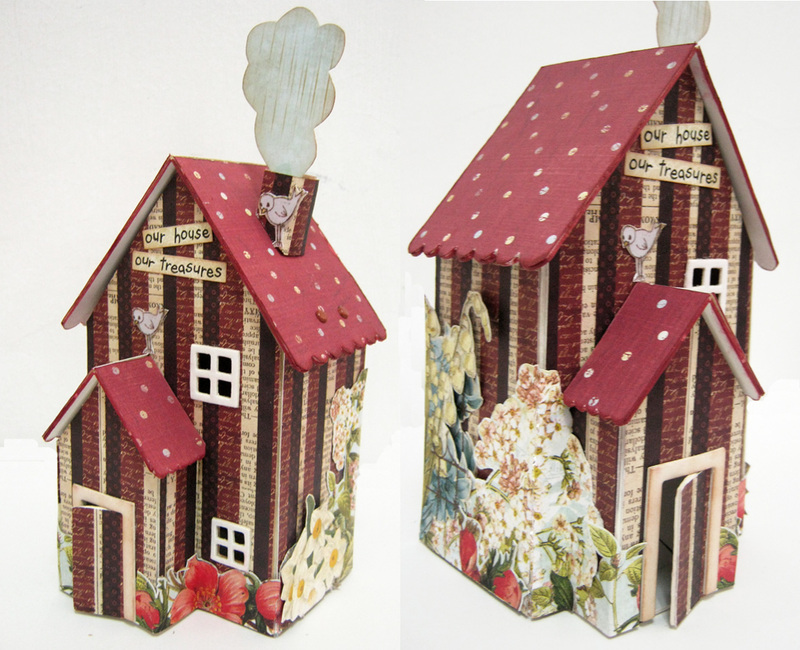 The featured Die this week was the 3D House by Eileen Hull. It was so much fun playing with this die and finding different ideas for its design. 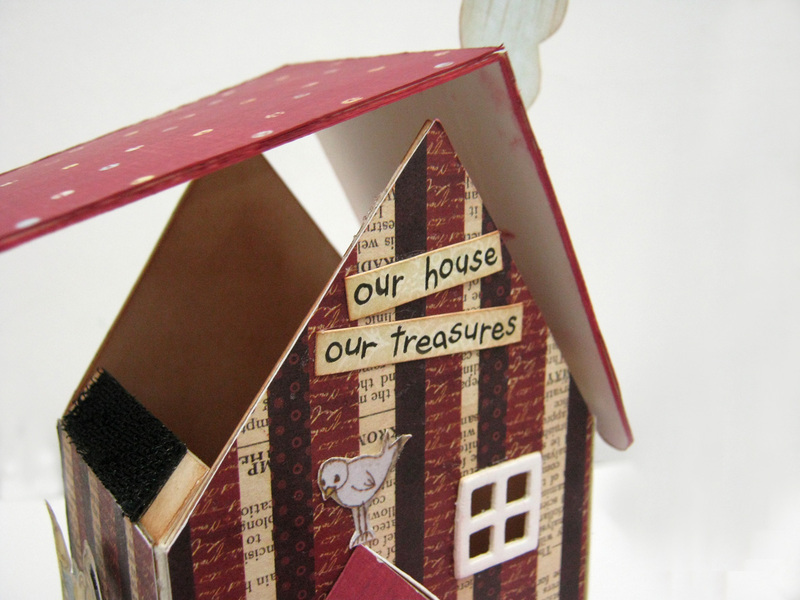 I had a lot of ideas, but my favorite idea was to create a treasure box from the house. Instead of adhering the roof to the house, I've added a hinge to create the cover of the box. On the other end I've attached a Velcro so the roof could be closed. Love the treasure box idea! Fabulous! I love the smoke coming out of the chimney and the hinged action, too. Totally agree with Karen - the smoke and hinged action are brilliant! Such a fun project! Love your take on it. What a neat idea of a treasure box. The hinge is genius. Fantastic! Great choice of colors and textures... the flowers are such a wonderful touch. Love your colors and embellishments. Velcro idea ... great (I used it too)! Beautiful! I love all the wonderful detail! Love your treasure box! And the smoke from the chimney - so clever! Very pretty house! Great idea with the smoke coming out of the chimney. Love the use of text.. and the hinge idea! Great job! 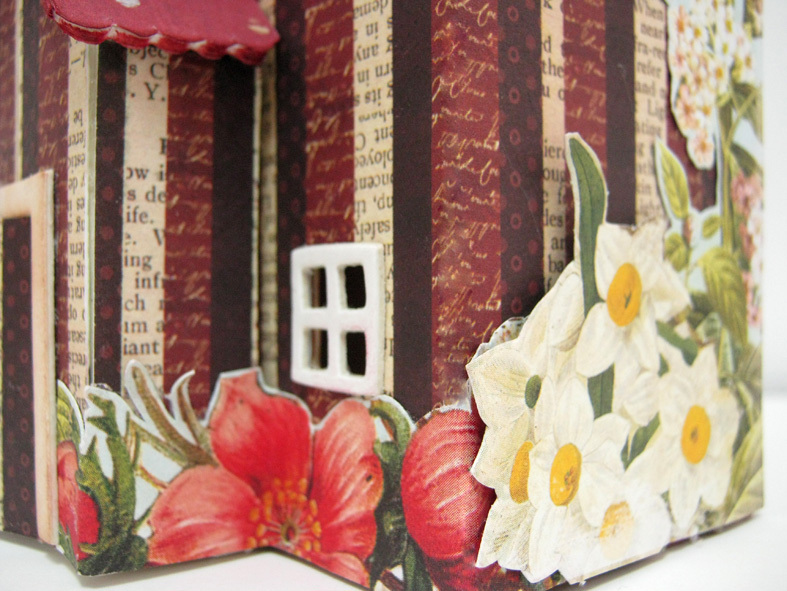 I really like how you pieced the paper on the house together. Great use of color too! Your house is adorable. I love how you did the flowers and the smoke! What an adorable keepsake box. I have one,but it's not nearly this cute! Very nice! I like the colors and the strips of papers with words. And don't you just love Zip Dry glue? It's one of my favorites. Love all the text papers! cute! love the added chimney and smoke! יופי של רעיון ועוד יותר יופי של ביצוע. אני יודעת שאני הייתי שמה את הפרחים באופן שונה אבל זה כבר עניין של טאצ' אישי. עבודה יותר ממהממת!! !פשוט נהדר!! 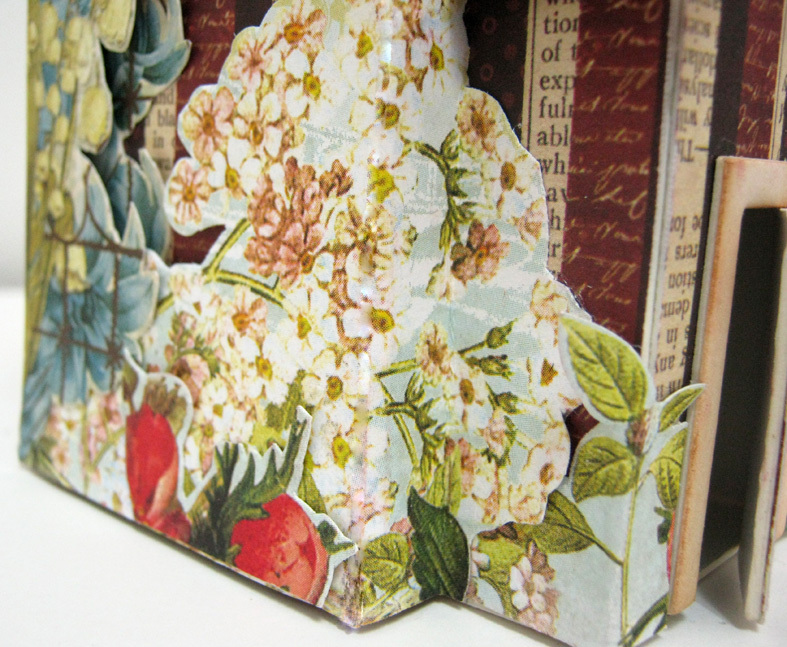 Sweet treasure box.... love your choice of papers and embellishments. TFS! Oh My Gosh! This is absolutely gorgeous! Great work!! 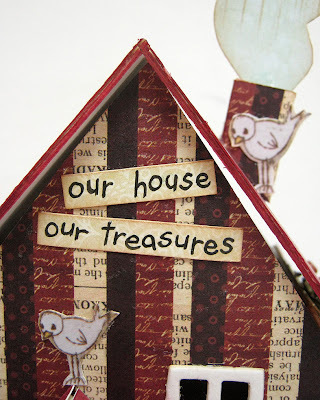 It is a treasure house! Mahalo for sharing your unique design.